If you take to blogging seriously, you must pay attention to these best practices for business-minded bloggers. They will definitely guide you towards creating and maintaining a blog that’s not just beautiful but also engaging and very entertaining. Social media has proven to be an essential tool for numerous businessmen world-over as it is changing the way customers and businesses interact. Some people have even created whole businesses solely over the internet with the help of social media and are very successful. Unfortunately, most of these businessmen are still unclear as to the best practices as well as the social media etiquette they need to imbibe to survive in the field. In that regard, we have come up with 5 social media etiquette rules to help business-oriented bloggers navigate social media with great grace and benefits. The name that you pick for your handle must be something that represents you and your company well. The screen name serves as you identity and it is the first thing that most people who connect with you relate to. Ensure that whatever you chose send a clear message, is succinct and most importantly, relatable. Try to avoid using nicknames, abbreviations or slangs not even remotely related to your business. 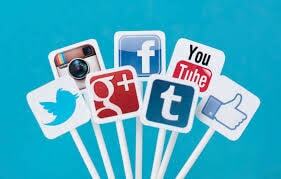 As a businessman, you must understand that your activities on the social media directly reflect on your business. Ensure you check every post for grammar and spelling errors before you post them, also, make sure the information you are sending out is genuine and can be verified. Building trust and authenticity are key when relating with customers or connecting with stakeholder online. want to keep it all professional, but you need to keep in mind that connecting with people on the social media is very different from booking office appointments or making calls. If your intent is to grab the attention of the customers and actually get them respond back to you, you need to make your connection more personable. Doing your research and using the person’s first name is a good way to start. The social media is open and allows most users to connect to anyone who uses the same platform, no matter their class, field or location. As a business man, this may seem like a good opportunity to reach out to as many people as possible, especially people who you may not know, but you feel can take your businesses to greater height or make a good purchase from you. Please fight the temptation. Do not approach strangers and ask them to be friends with you just so you can then try to sell them on your products or services. Doing so will ensure that you quickly lose credibility and that is not in any way good for business. If you are determined to have your business succeed on the social media, you need to put a pin on your emotions and find a way to check yourself while communication with others, especially when you are locked in an argument and you see yourself getting sucked in. While it is important to address every issues or complaint relating to your product or service, be careful the words you use as your words and actions can be saved and dredged up down the line. Also ensure that your responses are rational and constructive so that you do not develop a reputation as a hot head.